Juliet Ibrahim has finally spoken on reports of her alleged breakup with Nigerian rapper, Iceberg Slim. The actress who recently deleted all her photos with Iceberg, sparked up rumours that their widely celebrated relationship was over. 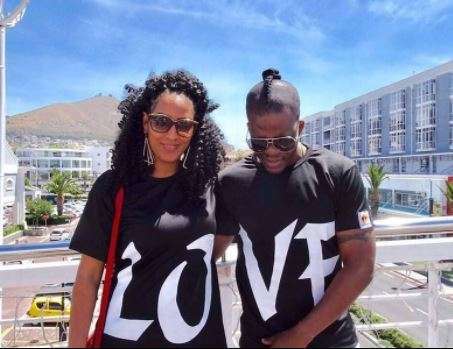 However, the beautiful actress wrote that she only made the move because she decided to keep her personal life off social media.
" Dear Fans and Friends, Months ago I decided it was time to face my day job and thus took off aspects of my private life off my social media handles. Usually, I follow trending stories about me and have a good laugh but not today. The only story here is that I decided to take any form of relationship I have off my social media and focus on my life and my career while juggling 2 countries . This move has sent the media crazy with insinuations about my private life. Please note that it is all about my day job on my social media handles going forward. If I need to let the world know about what’s going on in my private life, be rest assured that you will be the first to know. Until then, please disregard all fakes quotes allegedly coming from me and alleged interviews which never happened. God bless you all. Thank you for your love and support. 😘😘😘"